Massachusetts Senator Edward Kennedy, brother of John F. Kennedy, and Robert Kennedy, has died after battling brain cancer. Edward, known to most as "Ted," was the last surviving brother of the storied Kennedy Family. He served the third longest Senate term in history, having been a member since 1962. 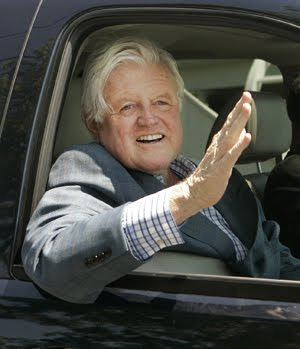 Kennedy was a liberal icon, and an avid supporter of President Barack Obama.